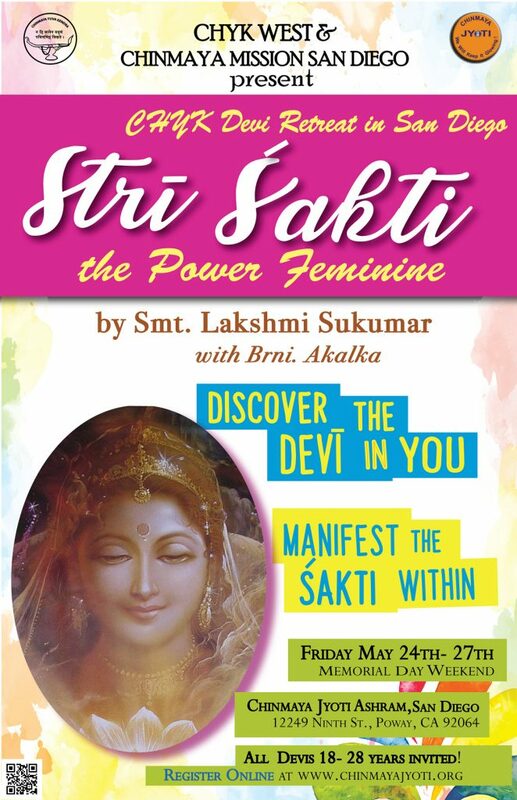 CHYK West and Chinmaya Mission San Diego announce the first CHYK Devi retreat in San Diego during this upcoming Memorial Day weekend. 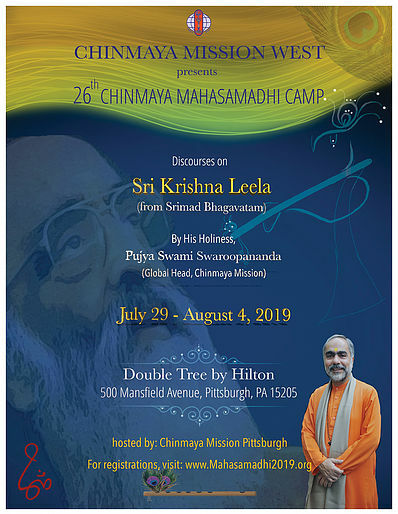 Registration Fee: $200 Early bird rate by May 1, 2019; $250 Regular rate after May 1, 2019. Fee includes all accommodations, meals and transportation during camp. 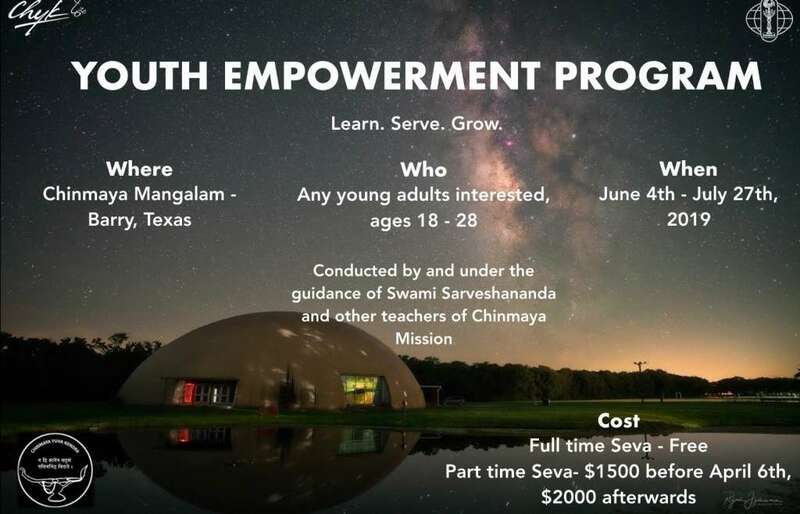 Through the grace and blessings of Pujya Gurudev, Pujya Guruji, and Pujya Swami Swaroopanandaji, the 6th batch of YEP America will be conducted at Chinmaya Mangalam in Barry, Texas, under the loving guidance of Swami Sarveshanandaji. This course is for individuals 18+. Take an inward journey to reveal your life’s unique purpose; overcome your mind’s deepest limitations; and discover success, significance and fulfillment in all aspects of your life. 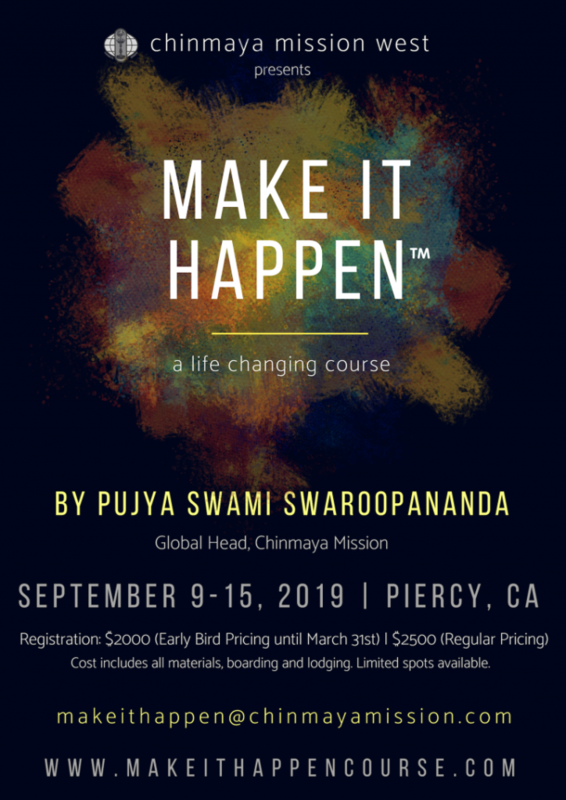 Through impactful workshop exercises, introspection tools and thought provoking classes, Swami Swaroopananda guides you into a world of infinite possibilities. Please plan your trip using these dates. The course will start on Monday, September 9th morning. 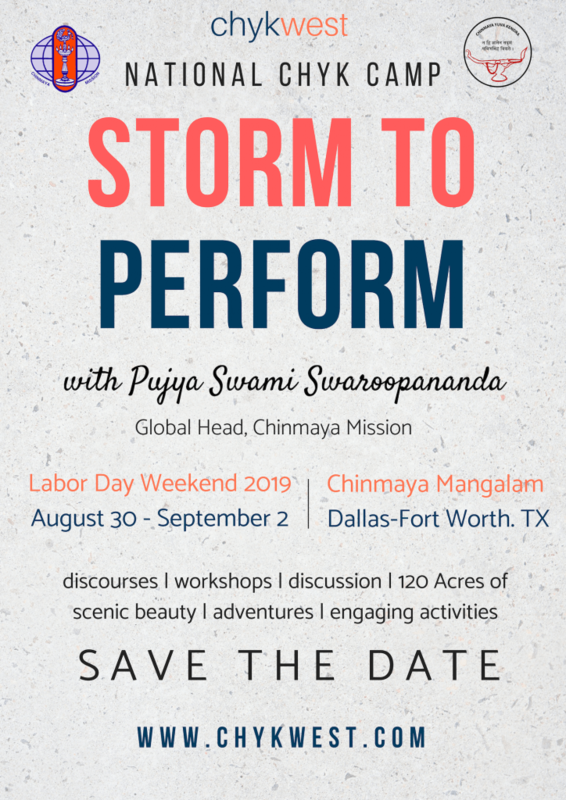 The last class will be on 14th and end after dinner on September 14th (to allow people from the East Coast to get back to work on Monday the 16th). Breakfast will be served on the 15th. If you are booking flights, please plan to arrive on the 8th and leave on the 15th. Daily Schedule: The course will begin in the morning on September 9th and end after lunch on Sepetember 15th. Tea/Coffee will be available in the kitchen starting 6:45am). A detailed daily schedule will be released closer to the course dates. All materials for the course will be provided to attendees. All rooms are multiple-occupancy (single or double beds). Men and women stay separately (exception: married couples may choose to room together). 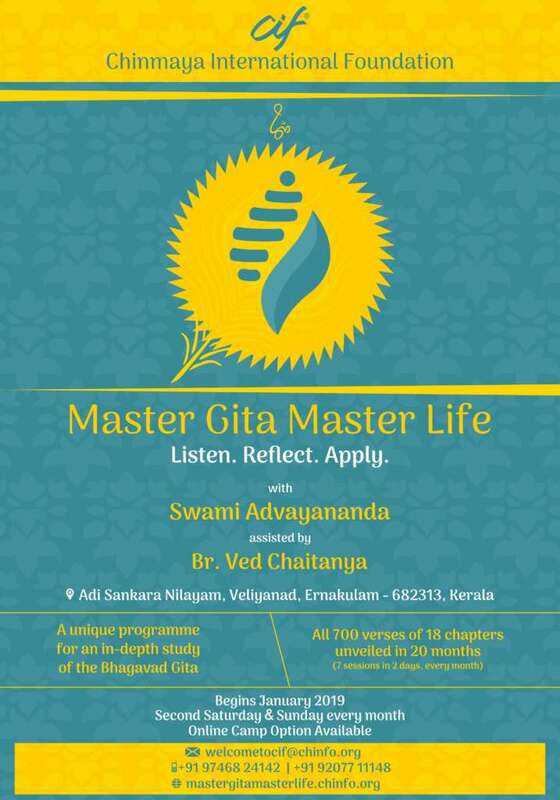 The accommodation is simple and conducive for spiritual sadhana. Bathrooms are attached (some connecting rooms have a joint bathroom). Sheets and towels will be provided. Laundry facilities are available. All meals are vegetarian (no eggs). Afternoons are hot and nights are cool. Rain is possible. Bring an umbrella and a light sweater. Swimming in the river is safe and allowed. However, There is no life-guard on duty. Optional: Bring swimwear and swim shoes.